"Then, all international treaties of the past could be ignored suddenly one day," he added. 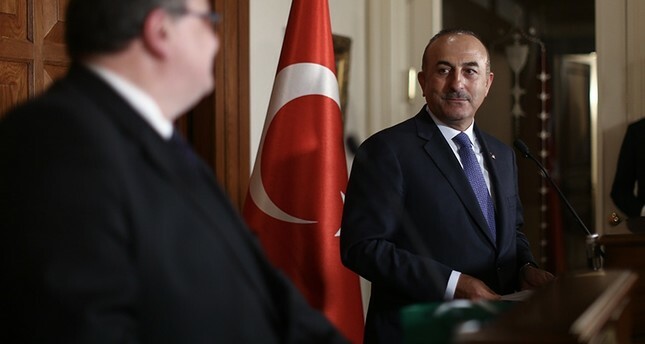 Çavuşoğlu also said Turkey is ready to do its part to find a common ground on the issue. Meanwhile, President Recep Tayyip Erdoğan also criticized Wednesday U.S. President Donald Trump's decision to withdraw from the agreement. "This is not how international mechanisms work, international covenants and international conventions cannot be annulled at will," he told CNN International. "If any document bears your signature, you need to respect that, you need to abide by that," Erdoğan underlined. On Tuesday, Trump withdrew the U.S. from the landmark nuclear deal, which was signed in 2015 between Iran and the P5+1 group of nations (the five permanent members of the U.N. Security Council plus Germany). Acting ahead of a May 12 deadline, Trump opted not to extend sanctions relief on Iran, re-imposing nuclear-related economic penalties on the Islamic republic. The 2015 deal had placed unprecedented restrictions on Iran's nuclear program in exchange for billions of dollars in sanctions relief. Trump had roundly criticized the agreement in 2016 during his electoral campaign, calling it the "worst deal" he had ever seen. Other members of the P5+1, for their part, say the agreement in its current form represents the best way to reign in Iran's nuclear program. Trump's move has sparked a range of reactions, with some countries welcoming it and others condemning it.